We’ve infused our signature sourdough with fresh pandan leaves to deliver a real pandan flavour. 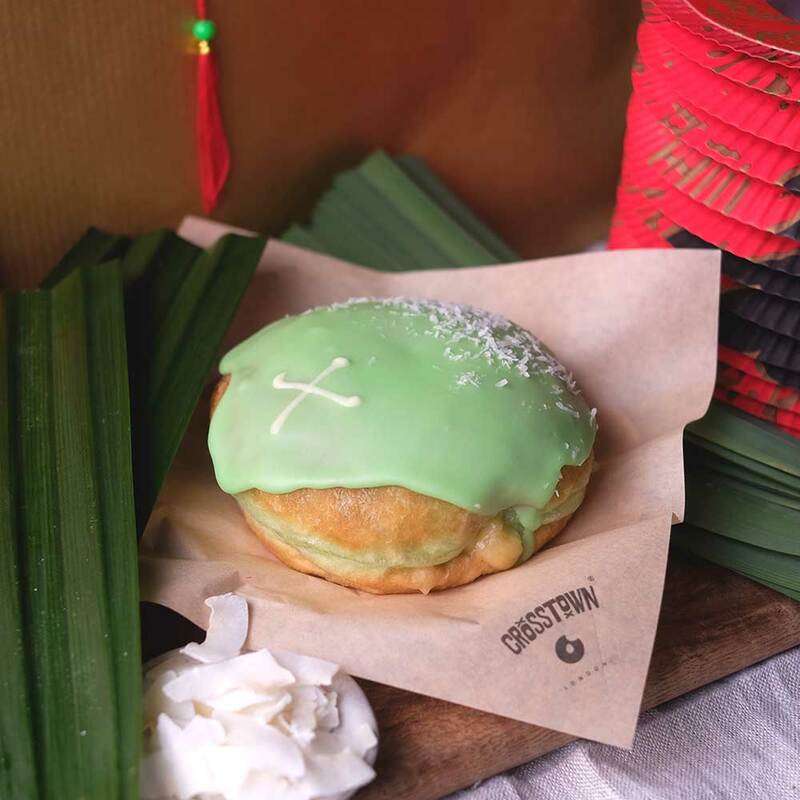 Each doughnut is filled with a homemade coconut cream custard, then topped with a vibrant pandan icing and finished with desiccated coconut. Available 28th January – 14th March 2019. 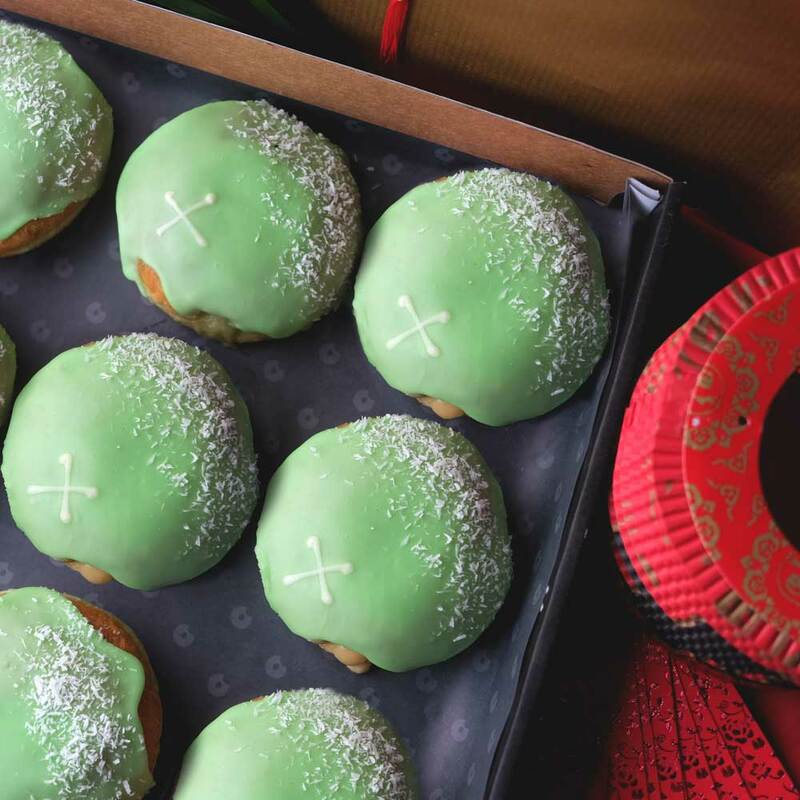 To celebrate Chinese New Year in London, grab a box of 12 Pandan doughnuts to share with friends or the office. Pre-order for collection, and you’ll receive a traditional red packet with a voucher for a free doughnut or coffee inside! Available from the 28th Jan to 14th Mar 2019 at all Crosstown locations through the city. Order online for guaranteed delivery. Find your nearest Crosstown here.